While I've been trying to eat more greens lately, there's no denying that I still enjoy indulging in meat. Of course, having a beau who's equally active in PETA (People Eating Tasty Animals), there's just no way I can keep my carnivorous cravings in control. 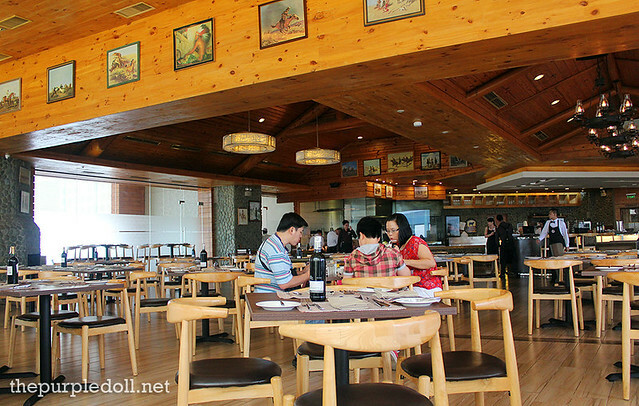 So one fine weekend, with a discount voucher from Metrodeal in hand, we excitedly headed to Highlands Prime Steakhouse in SM Mall of Asia for a late lunch steak date. It's been a while since the first and last time I've been to Highlands Prime Steakhouse. Back then, I visited this steakhouse with my dad. I think the place looks different then and now. It used to be a heavy cowboy-themed joint, but I welcome its refreshing change to a country cabin. 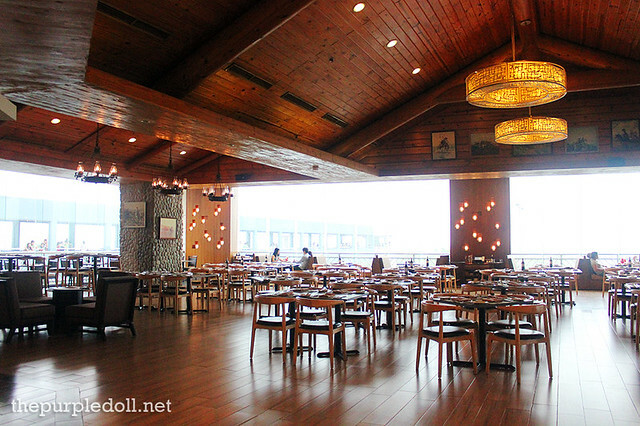 It has also become more spacious which somehow reminds me of Breakfast at Antonio's in Tagaytay. Of course, it's a different story if you dine at night. 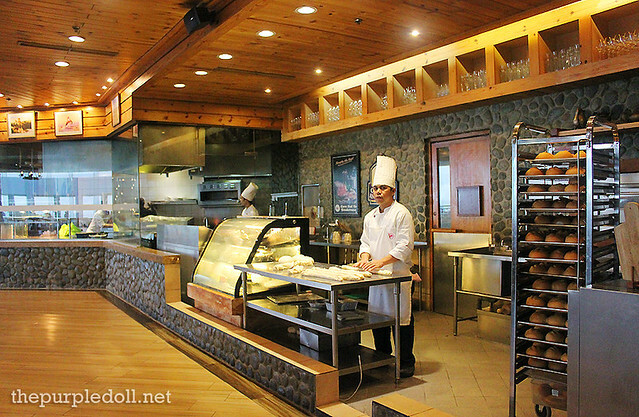 It has already been so long since I last visited Highlands Prime Steakhouse. So as expected, the steak sets (with soup, salad, dessert and drink) my dad and I enjoyed, aren't on the menu anymore. Oh well, we always skip the soup and salad anyway. 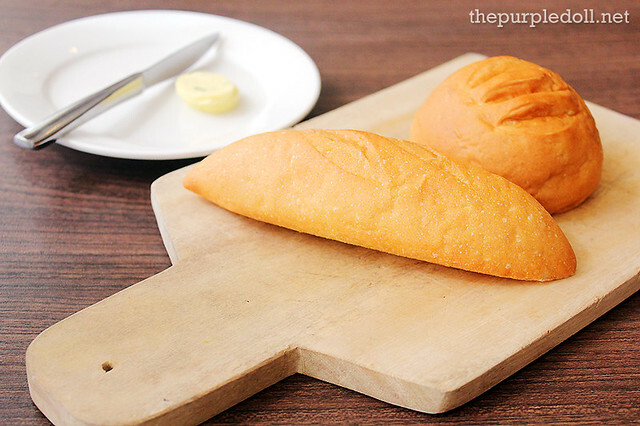 After the beau and I placed our orders, we were promptly served with this board of complimentary bread and butter which we graciously enjoyed. Then, I think after about 5 to 10 minutes, our steaks were already served. Kudos for such prompt service! Our steak orders came in a big platter complete with some sautéed veggies and a portion of grilled corn. It also comes with a siding of your choice: steamed rice, garlic rice, mashed potato, etc., and served with a food cover to lock in the heat. My steak of choice was this Prime Rib cooked medium rare. The boyf somehow cringed at the sight of my reddish-pink steak oozing with reddish juices. I on the other hand, was so delighted at how beautiful my piece of meat looked like. And of course, being cooked less done, every bite was so soft, so tender and oozing with succulence. With or without the gravy, it was so good. I only got the 10oz. serving though, but it was already enough to make me a happy camper. Of course, choose the 14oz. if you're a heavy meat eater. The beau on the other hand, had the Rib Eye Steak cooked medium. Unlike my piece, his has more savor that comes along with those beautiful grill marks. It wasn't as soft as my order, but every bite was very tender and succulent, really perfect with garlic rice. And although I'm not really a big fan of beef fat, I can't deny that I enjoyed the fatty portions on his steak. It was just so much more flavorful than the fat on my medium rare prime rib. 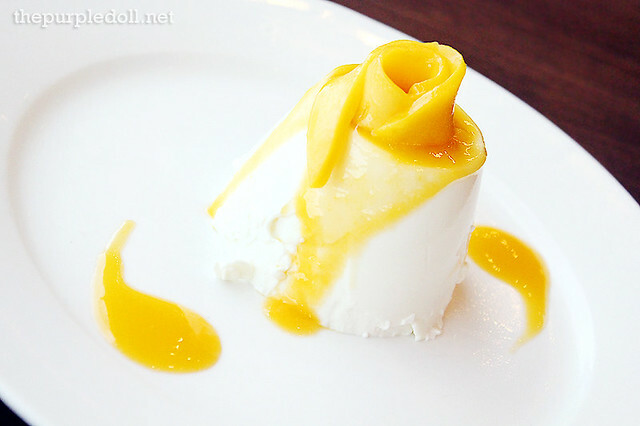 To end our steak date on a sweet note, we had the Mango Panna Cotta which is one of the best panna cottas I've ever had. The panna cotta itself was silky soft and jiggly despite its scars and marks at the bottom. Every spoonful was light and creamy, with just the right sweetness level. I also loved how the mango slices were so sweet, a far cry from disappointing mango panna cottas with the perfect base but uber sour mangoes. I don't usually feature drinks especially when it's just iced tea. However, I think our choice of drinks for that day is post-worthy. 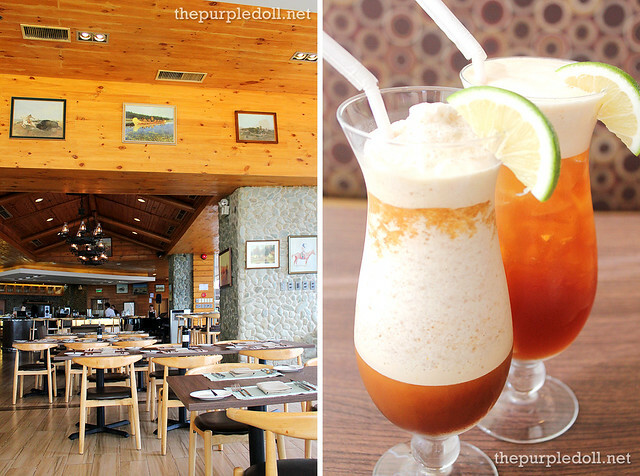 Just where do you get served Frozen Iced Tea? It may not be a super novel idea, but it did its job well. I also liked their regular Iced Tea, fresh, zesty and had hints of honey. Definitely better than diluted Nestea in most joints! I've had a fair share of great steaks in the past few years, but somehow, Highlands Prime Steakhouse has still remained to be one of my favorites. They may not regularly carry Wagyu on their menu, but what they offer is already enough to satisfy my carnivorous tendencies. They know how to treat both their steaks and guests right, and it really shows. Apart from our perfectly cooked (to our liking) steaks, the service we've been given was impeccable -- prompt, courteous, attentive, and staff even take initiative. So with all these, plus a relaxing and spacious ambiance, I'd say the price tags are worth it. 2/F Unit 213 Entertainment Mall, SM Mall of Asia, Bay Blvd. I saw this restaurant last time I visited SM MOA. I might give this restaurant a try when I go back. 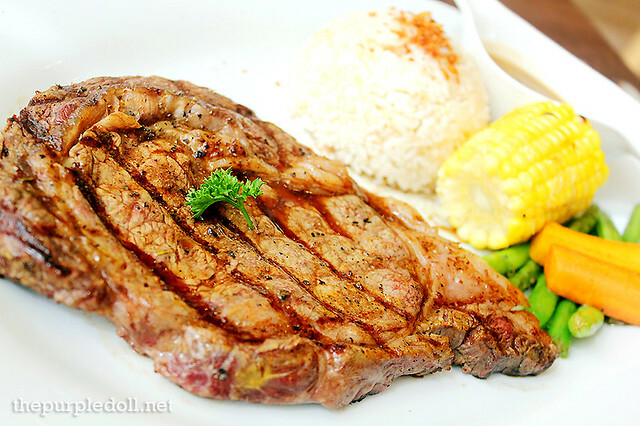 My husband, a certified meat lover, will surely love that Rib Eye! I'll suggest this place for his upcoming birthday treat. Anyhoo, as usual, great post and photos, Sumi! I love steaks! And I would love to try this soon! Hopefully they'll have a branch up north! Dine for a Cause: Where to eat this weekend? Are you the Oishi giant gift pack winner? Get ready for Blogopolis 2013: Into the WILD!